Caption - British Railways introduced the first-generation diesel multiple units in 1956. Built by Metro-Cammell in Birmingham in 2, 3 and 4 car formations. They later became class 101 and 102 with the last units withdrawn in December 2003. 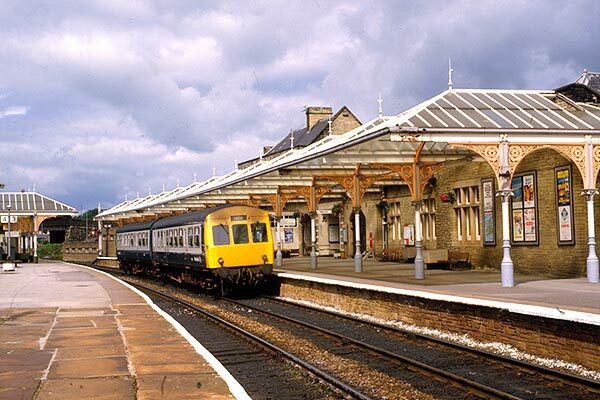 This image shows 51431 and 51501 (both class 102) at Skipton with the 1140 train to Leeds.in July 1985. Today the station is mostly intact and the line to Leeds has now been electrified.